Computer scientists often find themselves debating whether they should use (and extend) an existing system or develop their own. The onerous task of learning how to operate an existing system can be a severe overhead when all one wishes is to conduct a small experiment. However, especially where extended experiments are to be conducted, in the long run, a system that is extensible, flexible, modular, and usable, can save valuable time. HeuristicLab [6, 7] is a graphical user interface (GUI) based framework for heuristic and evolutionary algorithms, designed for ease of use. It offers a plugin-based architecture (which enables users to add custom extensions without knowing the whole of the source code), a domain-independent model to represent arbitrary search algorithms, support for graphical user interfaces, and the ability to accommodate parallel algorithms. S. Wagner, G. Kronberger, A. Beham, M. Kommenda, A. Scheibenpflug, E. Pitzer, S. Vonolfen, M. Kofler, S. Winkler, V. Dorfer, M. Affenzeller, in Architecture and design of the HeuristicLab optimization environment, ed. by R. Klempous, J. Nikodem, W. Jacak, Z. Chaczko. 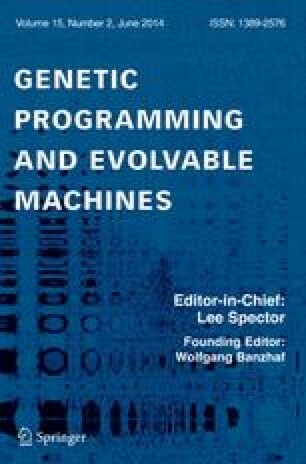 Advanced Methods and Applications in Computational Intelligence, Topics in Intelligent Engineering and Informatics, vol 6. (Springer, New York, 2014), pp. 197–261. doi: 10.1007/978-3-319-01436-4_10.